As I painted, all the colors were vibrant and everything was popping forward. Here is a hint I got from a fabulous children’s book author, Lee White. Glaze over the background with the color opposite on the color wheel. 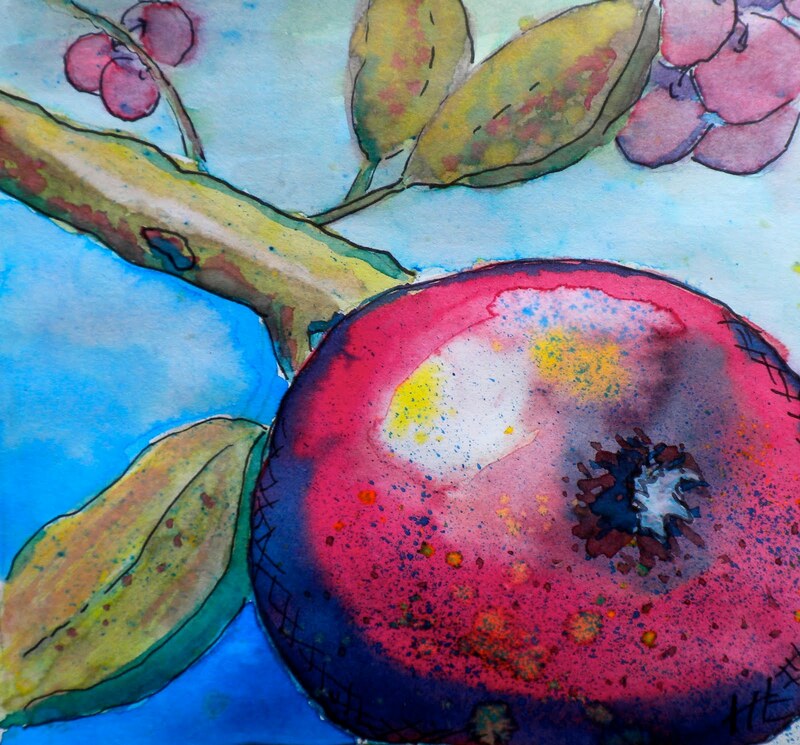 For example, I used red to glaze over the green leaves and take the intensity of the color back so the apple would pop forward. It is hard to do without making things muddy, but Mimi is learning. This entry was posted in Art, http://4.bp.blogspot.com/_ttobBIMbcb8/S70MtsYSykI/AAAAAAAAAHE/ZBoG8Wzyv8s/s1600/DSCN0266.JPG, International Fake Journal, watercolor. Bookmark the permalink. your watercolors just get better and better Holly, I mean Mimi…LOVE this! Thanks for the feedback. I will pass it on to Mimi.